I see myself as an observer of the world who has a strong drive to testify. A prodigious novelist, critic, and photographer, Teju Cole was born in the US and raised in Nigeria—a biographical fact that informs much of his work. His first novel, Open City, won the PEN/Hemingway Award. His second, Every Day Is for the Thief, was named a Book of the Year by The New York Times. Most recently, Cole produced Blind Spot—a synthesis of written observations and travel photography. 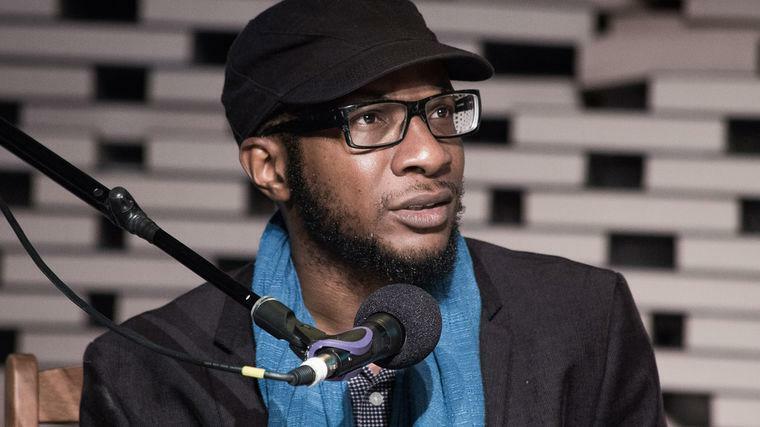 Teju Cole is currently the Gore Vidal Professor of the Practice of Creative Writing at Harvard and photography critic for The New York Times Magazine (a position he originated). In both writing and photography, Cole combines his eye for beauty with his capacity to perceive human and civic truth. He explores this convergence in Blind Spot: a gorgeous collection of his own full-color photos, each accompanied by selections of lyrical prose that explore “the mysteries of the ordinary” (The New York Times Book Review), and was named one of TIME’s Top 10 Nonfiction Books. His previous title, Known and Strange Things was also named to that same list, as well as Kirkus Reviews’ Best Nonfiction list, and one of Harper’s Bazaar’s 13 Best Books. Known collects a series of essays that span art, literature, and politics, with topics from Virginia Woolf and James Baldwin to President Obama and Boko Haram. His first novel, Open City, was awarded the Rosenthal Family Foundation Prize of the American Academy of Arts and Letters, the New York City Book Award for Fiction, the Internationaler Literaturpreis, and the Windham Campbell Prize for Fiction; nominated for the National Book Critics Circle Award, the New York Public Library’s Young Lions Award, and a prize from the Royal Society of Literature; and was named one of the best books of the year The Guardian, Newsweek, The Atlantic, The New York Times, and many others. His novella, Every Day Is for the Thief, has been “widely praised as one of the best fictional depictions of Africa in recent memory” (The New Yorker) and was named one of the best books of the year by The New York Times, the Telegraph, The Globe and Mail, and NPR. Cole is a contributor to many leading journals and magazines. He has lectured widely on a variety of subjects, from contemporary ethics to literary studies. He teaches literature and art history at Bard College, where he is Distinguished Writer in Residence and Achebe Fellow. "the fulfillment of an intellectual project that has defined most of his career." Lavin Speakers Wrote Four of the "50 Defining Books of the Last Five Years"
Senses Of The City: Teju Cole On "The Greatest Technologies Of Humanity"
Teju Cole: "Twitter Is The Real Stream Of Consciousness"